SW8 plans published – TowersStreet - Your premier Alton Towers guide! 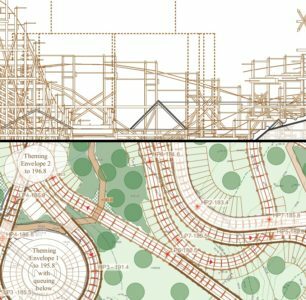 Join us here at TowersStreet as we take a look at the newly released SW8 Wooden Rollercoaster planning documents on the Staffordshire Moorlands District Council planning site. 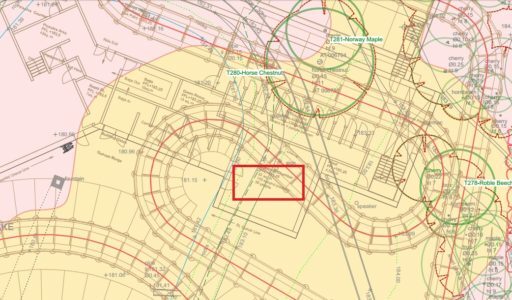 The new development will take place on the former site of The Flume, bordering Mutiny Bay and Katanga Canyon. 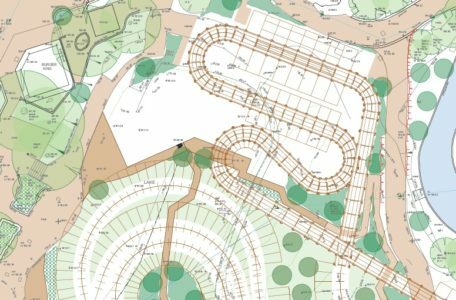 The project will include the wooden rollercoaster structure, sound tunnels and noise screens, as well as a substantial combined maintenance building, station and shop. 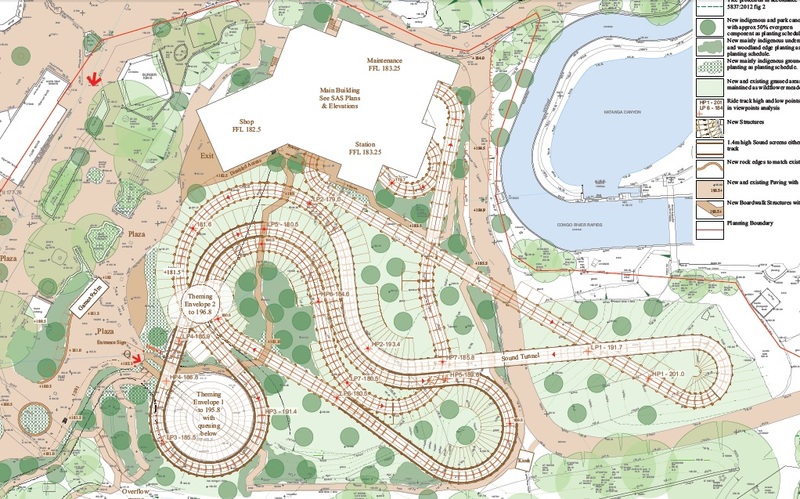 In addition is a new games unit and food kiosk. 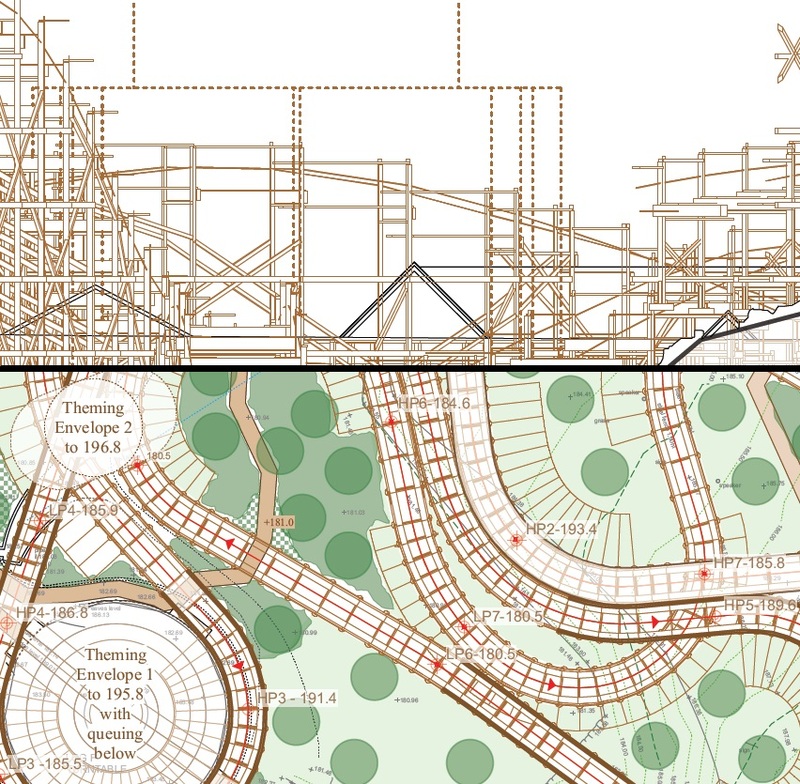 Buildings are expected to have thatched effect roof tiles and weathered timber effects, many being single storey. 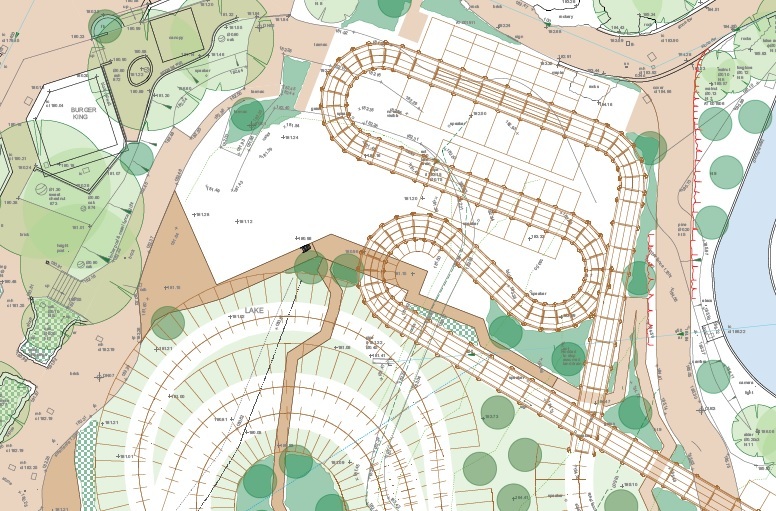 The noise assessment states that similar noise comparisons have been carried out “by the manufacturer” with Kentucky Rumbler, and other coasters built by wooden coaster manufacturers GCI. Within the noise assessment is reference to a “silent magnetic lift” mechanism; indicating a possible launch. 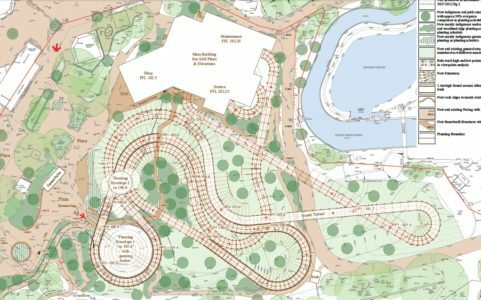 The new ride will not venture into the woodlands, allowing the area to be returned to its natural state following the removal of The Flume channel. 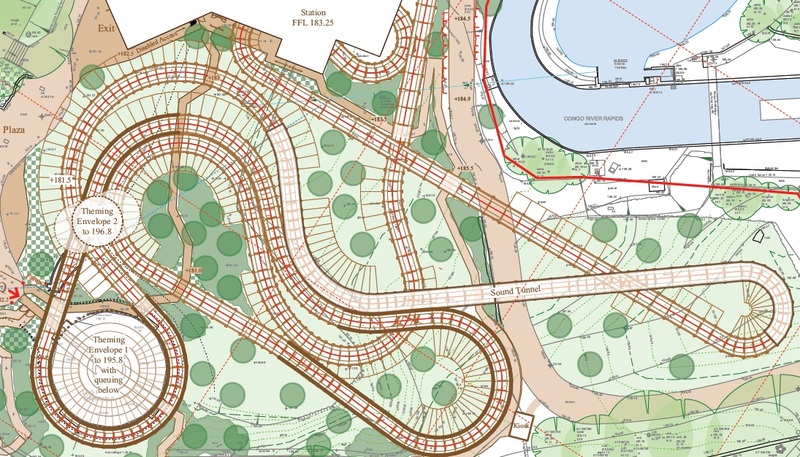 The layout looks to have airtime hills, an indoor section by the station, and a 140 second pre-show for 50 people. 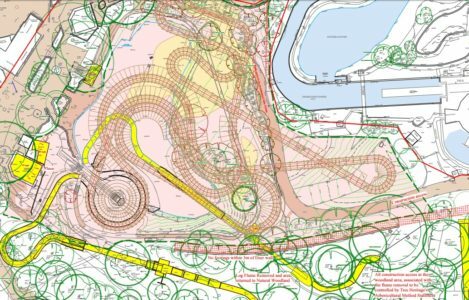 Construction is expected to begin in September 2016 for completion in December 2017; meaning a 2018 opening for the project. 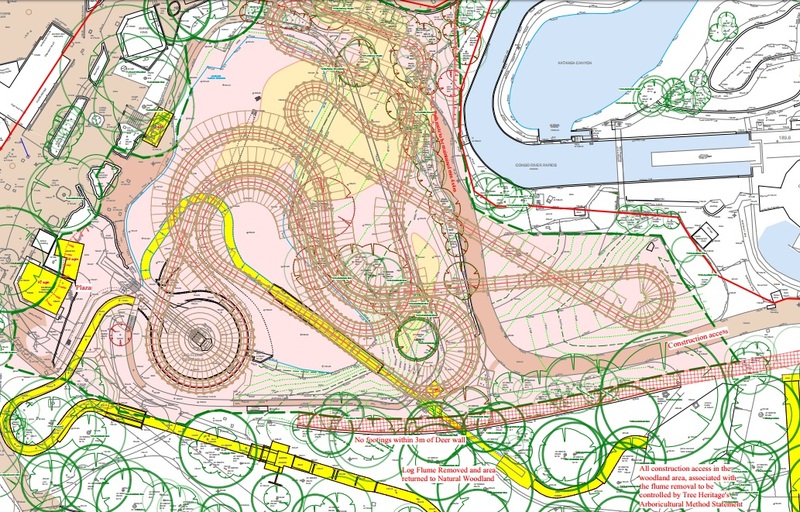 The entire first drop will be enclosed in a sound tunnel. 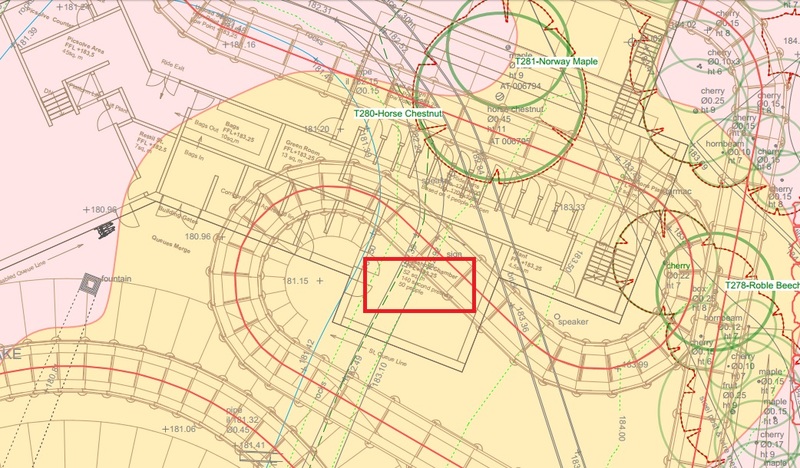 The plans show what appear to be an onload area and a separate offload area, along with a manned baggage store. Stay with us here at TowersStreet as we update this article with more information, and follow us on Twitter and Facebook for breaking news.